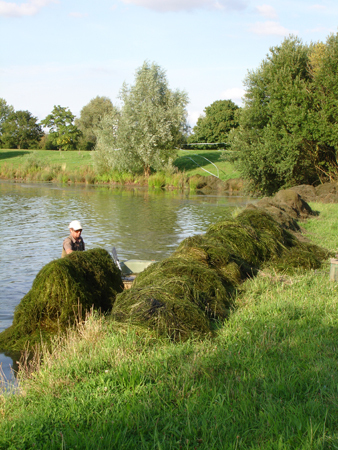 The ongoing management and maintenance of ponds, lakes and fisheries is the best way to ensure you realise the full potential from your water. This applies on a financial, aesthetic and environmental level. 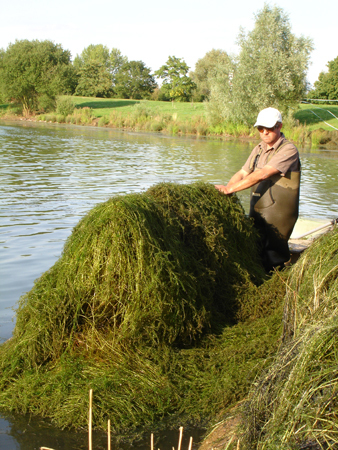 We provide the knowledge and services to effectively manage and maintain your pond, lake or fishery. 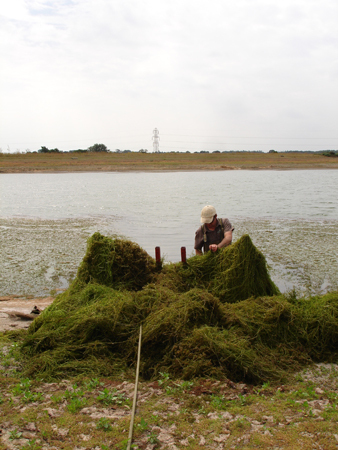 We are currently the only aquatic management company in the UK to offer the unique Lake-rake control service for submerged weed, specially designed for removing dense growth of Elodea species. Developed due to our environmentally sensitive policy which avoids the use of herbicides. 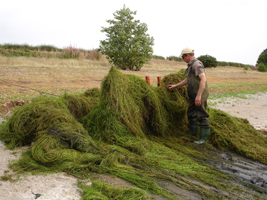 Traditional weed cutting (which in our opinion has a similar effect to mowing the garden lawn) leads to unsatisfactory, short term results; rapid weed re-growth; and lots of floating debris which is difficult to clear. The lake-rake is boated out over the submerged weed bed to the target area and off-loaded. When pulled across the target area the rake collects the weed, along with the entire root system and any associated detritus. It also disturbs sediments which increases turbidity in the water and reduces light penetration, restricting photosynthesis needed for re-growth. Because the root system is targeted, we achieve far greater periods of control with out the risks associated with herbicide use, such as oxygen crashes caused by the sudden breakdown of massive amounts of rotting weed on the lake bed, or any environmental toxicity concerns which can threaten valuable fish stocks and protected flora and fauna. We can remove literally tonnes of weed in a day. We have also found that the process of removing weed encourages carp and other bottom feeders to move into the previously weeded up areas. Time and again we receive a phone call a few days after we have cleared an area to let us know of a bumper catch. Don't be fooled by the copycats, we invented this method, we have the knowledge and experience; the original lake rake service.